I will be doing as many of the categories on this one as I can. I seriously don't think I'll get all of them and some seem a little hard for me. But the blogger said we can skip around if we wish. I should have known I'd be able to get them all. In 2016 I tried a couple of reading challenges that were floating around the internet, I did okay with them. What I really liked was the idea of challenging myself to read different things. It sort of made me plan out what I had to read. 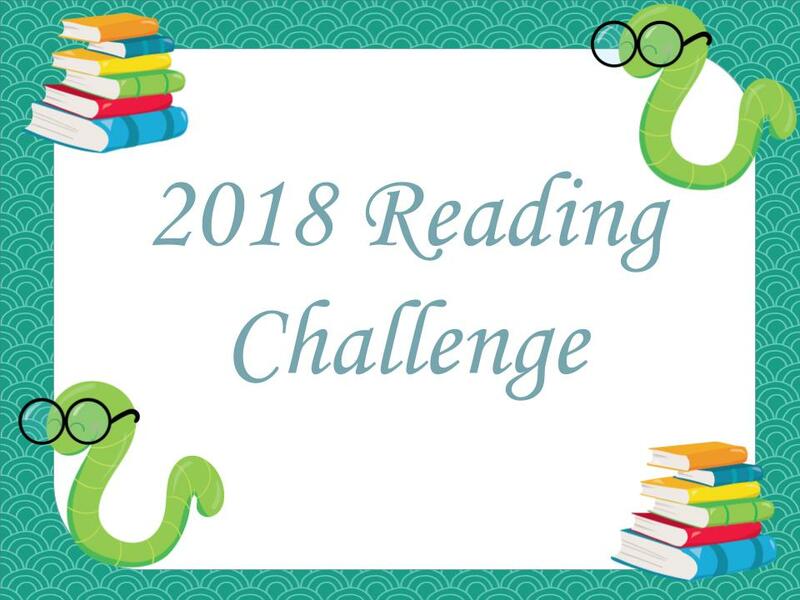 In 2017, I made my own reading challenge. I was pretty proud of it, and it can be seen here. I think that I definitely learned a lot, but ultimately I took on way too much with it and it needed some fine-tuning. Throughout it all, my amazing friend Tress was trying to do the challenge right alongside me. While 2017 is not over yet, I'll be honest and admit I'm not even going to finish half of it. That's okay though because what it did do was give me a lot of ideas for 2018. I started out this list just consulting with Tress on her thoughts on 2017's list. What ended up happening is we ended up collaborating on a massive reading challenge the past couple of weeks. Tress has been talking to a lot of members on a website called Dragonmount that we're both apart of (her far more than I am. I've never been outside the Mafia game thread there) about my previous reading challenge. I think She may have even referenced it on her own blog which can be found here. I'm incredibly proud of the work we put into this, and I think it's going to be a lot of fun. Before I show off the challenge, I want to explain it a bit. I'll be doing this one again, trying for the first level, more if time permits. After about two weeks away from editing, I got back to editing my memoir last week, doing at least one chapter a day. Someone said staying away from your writing then going back later can give a you a fresh perspective on your work. That appears to have been true for me. From what I have looked over so far, I found errors I had not previously caught and some phrases and details I decided could be deleted. And some things I wanted to add now that I had not thought of before. This is all part of the process, I have come to see. I'm beginning to feel I've gotten stronger with writing, as the above graphic states. It sounds like a good idea to believe. Another statement I can agree with. Should Your Protagonist Be Based on Yourself?